Phillies, PBMOA, oh and some more golf! 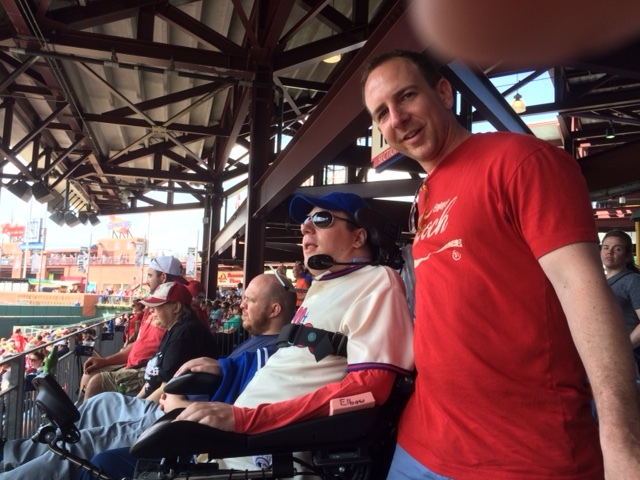 Kevin went to his second game of the season last Sunday and watched as the Phillies completed a sweep of the Diamondbacks, complete with Maikel Franco’s first major league homer. His next game, weather permitting, is May 31st against the Rockies and if you are at the game and you have time to stop by we are in the handicap accessible area behind section 105. On Wednesday of this week, the 20th, Kevin was a guest of the Philadelphia Building Manager and Operators Association (PBMOA) at their annual golf outing and dinner at the JC Melrose Country Club in Cheltenham. Before Kevin’s injury he was a member of the association and they very graciously continue to invite him to their outing. Kevin enjoyed seeing a few old friends and meeting a few new ones and he had a wonderful time. Our thanks especially to Joan Stahley for arranging the details of the invitation. Finally, Kevin is very grateful to those who have already signed up for the third annual golf tournament. As of Thursday night forty three golfers have already signed up for the September 21st event, over a third of the field booked and ready to go. Hope to see you there! Spring is here and the temps are rising. 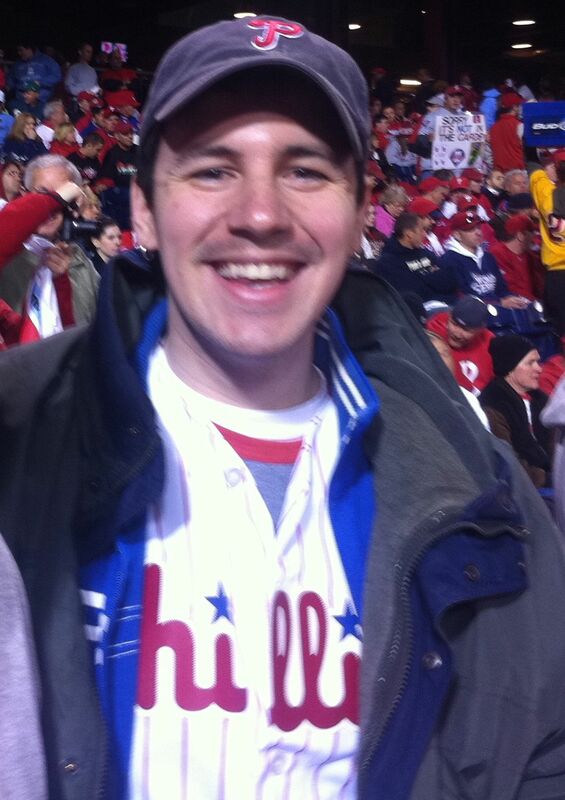 That makes it much easier for Kevin to enjoy one of his favorite pastimes, watching the Phillies. Hopefully he can help them turn it around! Here is Kevin with his nurse Chris on the left and our cousin Michael on the right. Oh and that is dad’s finger, he didn’t want to be left out!